Markings: Bay with an imperfect star. No other markings. 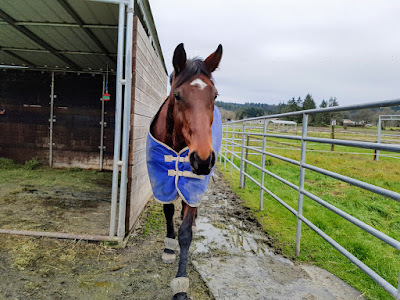 Birthday: She was born in 2004 and I don't know her exact birthday so we celebrate on January 1st (the Thoroughbred age-up date). Favorite things in life: She loves to try to eat all of the random things (cones, shirts, jump poles, anything & everything). She also really loves to go fast and jump things. Casey is a big fan of treats (cookies, carrots, apples) and will do anything for them. And is very talented at it! Least favorite things in life: Casey does not see any point in moving slowly. What is walking? She also is not a fan of having to get brushed (especially her belly because she is ticklish). Peppermints are disgusting pieces of poison. Oh, and we can't forget about the ponies. Ponies are awful, evil, little mutant horses who cannot be tolerated. They must be bitten. Dogs are demon-creatures and must be carefully watched at all times. Best friends: Wings & Ava. She also loves all people, especially the people who come bearing treats. Her History: I don't actually know all of Casey's history, just bits and pieces. She was trained to be a racehorses and was breezed, but was too slow and so never was entered in any races. In Oregon, horses don't have to be registered until after their first race, and so as far as we know, Casey was never even registered. After racehorse training, she was bought by my trainer's friend years ago to be her show horse. The owner got busy with life and so sold her to my trainer. 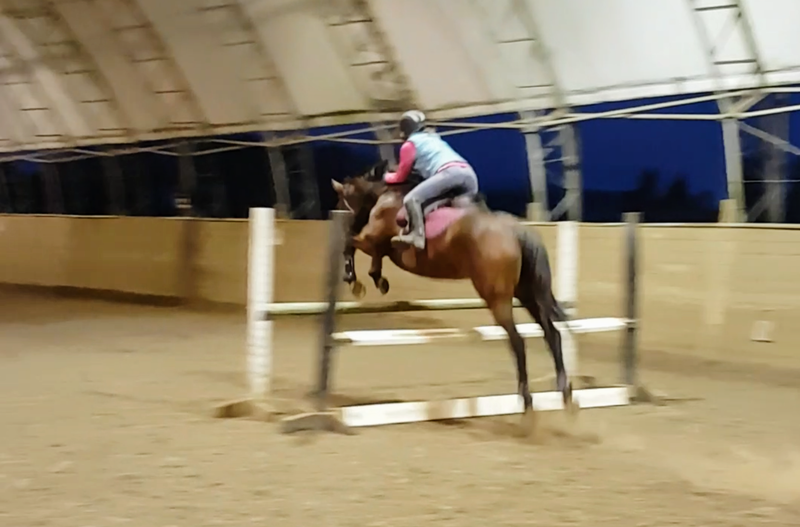 Trainer tried to use Casey as a lesson horse for a few years with limited success. Casey wasn't good at handling a bunch of different riders all the time. Trainer then decided to have Casey be her baby green hunter/jumper, but due to personal reasons that didn't happen either. Casey then had at least a year off in which nobody did anything with her. I started working with her in June 2016, fell in love, and purchased her in August 2016.